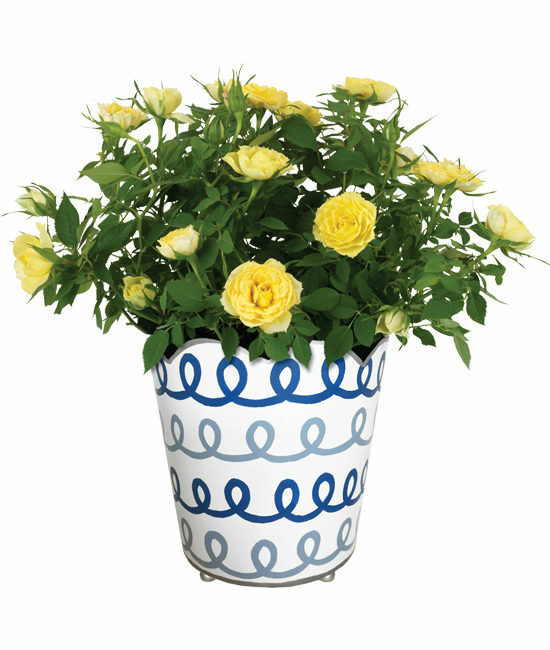 A fresh, wintertime favorite, our miniature rosebush creates a happy holiday display in its sweet, handpainted silver & blue cachepot. 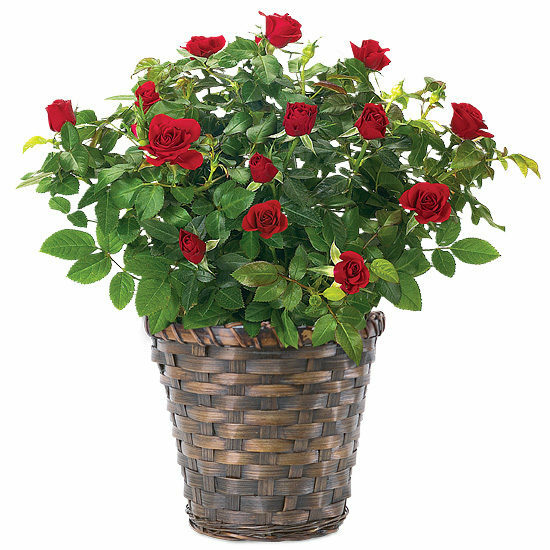 A cheerful gift for friends and family, we’ll deliver the plant in bud and bloom. 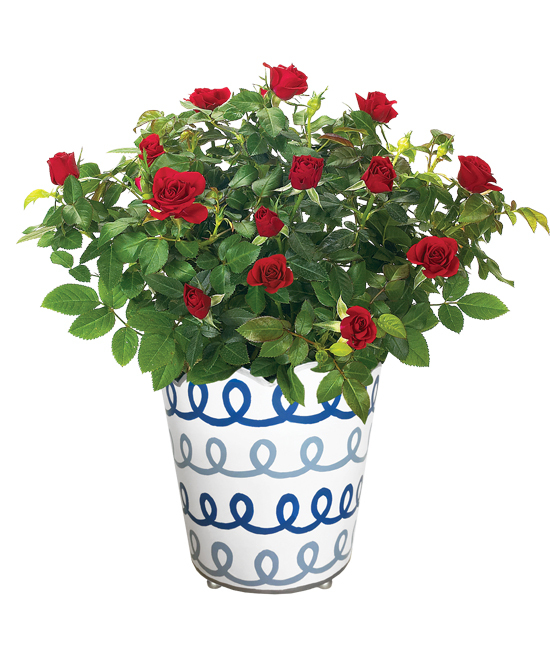 With the proper care the rosebush can flower year-round.